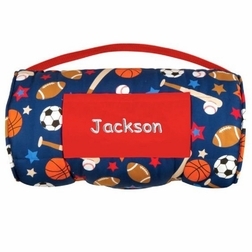 Nap time never looked so good than with a Stephen Joseph all over print sports nap mat. 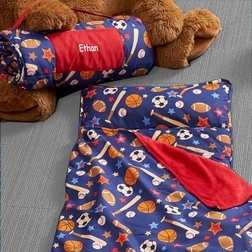 This all-in-one nap mat will have your child snuggling down to sleep before you’ve finished reading their favorite nap or bedtime story. It’s so soft and fuzzy you’ll want to get in too, and the printed patterns can really set off your little one’s imagination for dreamland. 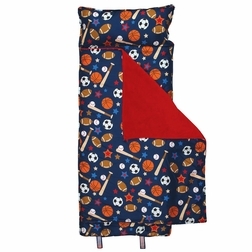 It’s also great for sleepovers as it rolls up with an easy-to-carry shoulder strap and has a useful front pocket.